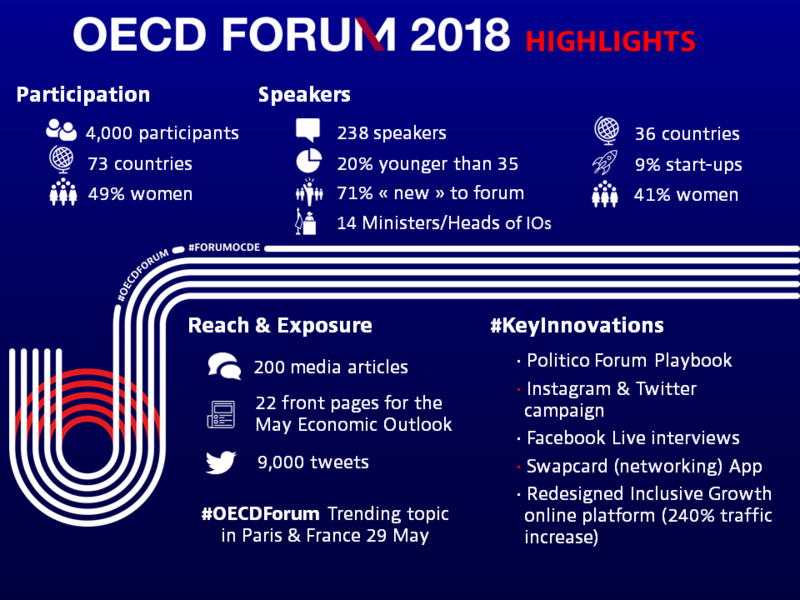 OECD Forum 2018: Looking Forward and Back | The Forum Network, hosted by the OECD: Shape ideas. Shape policy. Shape the Future. Just a few weeks ago we convened 4,000 voices from all walks of life in Paris to discuss common values, aspirations, hopes, and concerns that bind us together, and that are core to finding solutions at a time when our societies are facing increasing division and disconnection, with many questioning the fairness of the globalised economy, and the multilateral processes by which it is governed. “What Brings Us Together” was the central focus of the 2018 edition of the OECD Forum. In an attempt to answer this question I would like to share some of the insights we heard, particularly with those of you who could not attend and yet were integral to the development of the Forum agenda, thanks to your thoughtful contributions to the themes and title of the event via the Forum Network. As we sought to explore the different values that bind us together, such as inclusiveness, equity, solidarity, fairness and integrity, David Urquhart, Bishop of Birmingham reminded us that “shared and compatible value systems are essential to remain centred on what makes us human” while Sharan Burrow, General Secretary of the International Trade Union Confederation suggested that “if we could globalise compassion, we could solve a lot of problems”. A number of Forum debates captured people’s aspirations and hopes in our increasingly interconnected and fast-changing world: aspirations for an inclusive world of work, and hopes for equal access to education, health and housing. In this context, French Education Minister Jean-Michel Blanquer shared some guidance on ways to be resilient in a disrupted world: “The objective is to enable everyone’s growth through education, through training, in an ever-changing world where adaptation is the key word, and where everyone must find a life project and more personal freedom and confidence. We are witnessing one of the most significant revolutions in the history of humankind”. Many Forum contributors expressed their anxiety about the future of work, fearing that increasing digitalisation would significantly impact our sense of community, and human connection, fostering loneliness and loss of identity. Rory MacFarquhar, Director for Global Economic Policy for Google said, “We have reached extraordinary levels of anxiety about technology’s disruptive potential, that the robots will be owned by a few, and large bulks of the population will be left with nothing”. Mariarosaria Taddeo, Deputy Director of the Digital Ethics Lab at the Oxford Internet Institute, issued a call for action by stating: “Stop adapting – and start steering – we have been following technology for too long, we need to start designing society”. Forum conversations reflected on collective concerns linked to increasing marginalisation, siloisation, polarisation discrimination, and extremism. Tim Dixon, Co-Founder of More in Common, warned of the loosening of the fabric of our societies: “One of the biggest challenges for governments in the next decades is to actually hold their societies together, and not assume it’s just going to happen. We need to think through all sorts of policy areas through the lens of human connection”. David Lucas, Senator from Spain called on politicians to remember that “democracy is a daily business, not something that just occurs every four years” while Aart de Geus, Chairman of Bertelsmann Stiftung expressed his worry that the “young generation has given the harshest assessment of the failure of today’s democracy”, raising concerns that all citizens and voters do not identify with traditional democratic processes. In exploring what brings us together, the Forum was an opportunity to seek ways to innovate and reinvigorate international co-operation. Perhaps French President Emmanuel Macron captured the essence of this debate in the most compelling manner in conveying his desire for a stronger global system designed for the realities of the 21st century. In his words, “Multilateralism is not just a collection of bilateralisms. It’s a dialogue with several voices, a chorus for action and thought, and we need to work together to build this chorus, to reinvent it and make it fair and efficient for the world we are in”. 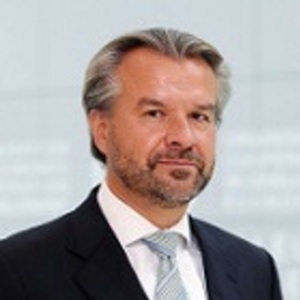 Others joined him in calling for partnerships of a new kind and new global leadership, such as Friederike Röder, CEO of ONE France, stating, “Today we are facing a situation where we really have to defend the multilateral system. One conclusion should indeed be to further strengthen the roles of citizens in multilateral processes”, as well as Alejandro Romero, Founder & CEO of Alto Data Analytics: “We are facing a new renaissance in which the issues are so complex that we need different minds together, we need new Leonardos that approach these global issues in a very holistic way”. The Forum is a space where every voice and every thought matters, whether here on the Forum Network or physically in Paris. During the event itself we crowdsourced ideas, experimented new thinking and tested new approaches in the context of a series of workshops – IdeaFactories – on Rebooting International Co-operation. We looked beyond symptoms – the tip of the iceberg – and explored underlying patterns, behaviours, mental maps and beliefs to help develop alternative roadmaps. Key issues raised included the decline in trust at all levels in society. There was also considerable focus on the need for more transparency, on communication (listening as much as explaining), and on the bases of legitimacy. More effort should be made to open international co-operation to those who are not directly engaged in it and to connect with citizens. Participants expressed the feeling that international organisations have become very task-driven, and need to focus on key values at the core of their original mission, connecting their work to demonstrating concrete impact on people’s lives. Despite a call for fundamental reform, there is a space for international organisations to act as “sense makers” for the international community in an age of information overload and scarcity of meaning. I invite you to watch a short video of the event which will give you an impression of the many discussions and vibrant engagement at the Forum. Thanks again for all the ideas, goodwill and energy that made the 2018 Forum a success and helped us all get a better collective sense of where we are on the road to Bridging Divides and reminding us of just how many things do bring us together and give hope for a brighter future. How did the Forum change your perspective on some of the issues you work on? Did you develop new partnerships and think of new projects? What will you take forward in your work? How can we design new models of collaboration and partnerships of a new kind? How do you feel international organisations can act as “sense makers” for the international community, connecting their work to concrete impact on people’s lives? I would like to call on you as we further our thinking in the months to come and start preparing the main themes for Forum 2019. I took home with me a sense of impatience with the status quo. I took home a desire to find ways to fix our institutions – to make them more relevant and present for citizens – without having to destroy them. If our institutions exist only to maintain the status quo, they won’t last very much longer. If they are able to drive change that we all see in our daily lives, then more power to them!